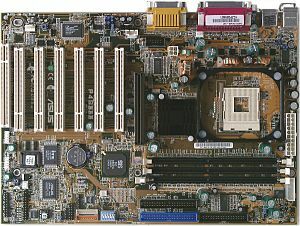 This giant was first to release a mainboard on this chipset. The layout is simple and convenient: for example, IDE and FDD connectors are placed in front of the memory slots. There are two connectors for +12V for old power supply units which do not comply with the ATX 2.03 specification. 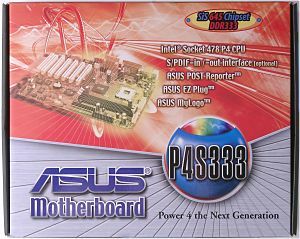 There is also a traditional ASUS iPanel connector. The feed circuits incorporate 6 capacitors of 3300 uF and 3 of 1200 uF. There are the following controllers: C-Media CMI8738/PCI-6ch-MX supporting 6-piece acoustic systems and having a connector for front audio-outs and SPDIF; ITE I/O IT8707F controller supporting MultiMedia Card and Secure Digital Card Reader (the reader connectors are unsoldered); and a proprietary temperature and fan rotation monitoring chip. Non-unsoldered connectors: network controller (based on functionality of the SiS961 south bridge). 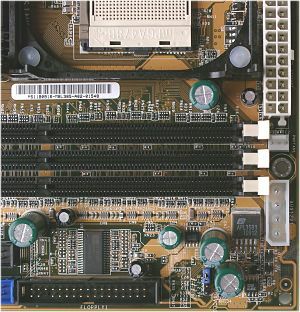 Brief characteristics of the board: memory slots - 3 DDR SDRAM; expansion slots - AGP/ 6 PCI/ ACR; I/O ports - 2 COM/ LPT/ 2 PS/2/ 6 USB; dimensions - 305x220 mm. 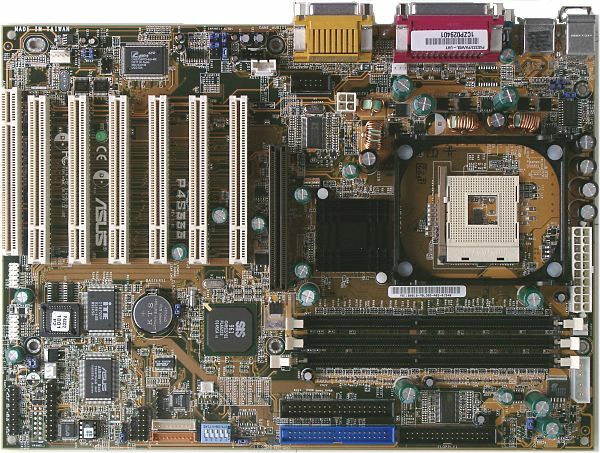 The board is one of the speediest models today, rather reliable and rich in functions.